The Sparmax ARISM compressor embodies the philosophy of Sparmax: raising performance and rising above expectations through continuous improvement and unwavering quality. Reliable and functionally versatile, this innovative model exceeds the performance of similar sized compressors. 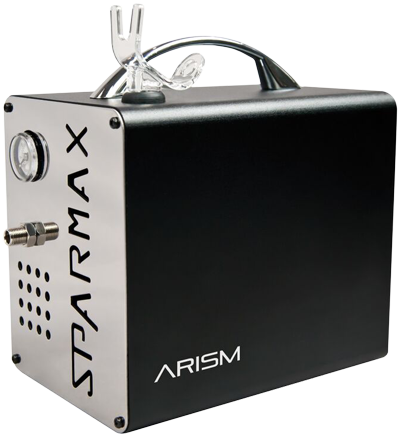 With a sleek and modern design, the Sparmax ARISM compressor is aimed at airbrush enthusiasts and artists looking for a compact, yet powerful, light-weight compressor for airbrushing. The compressor automatically turns on when you press your airbrush trigger, providing instant air, and turns the compressor off again when the airbrush is not in use. Duty cycle: 40 minutes continuous use. After 40 minutes of continuous operation, use the On/Off Switch to turn off the unit. Allow the unit to cool for 10 - 15 minutes before turning the compressor back on. This Sparmax Arism compressor is warranted by The Airbrush Company Ltd against manufacturing defects of materials or workmanship for a period of 2 years from the original date of purchase. 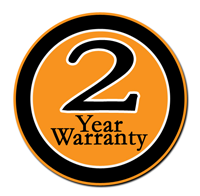 This warranty does not cover pistons and automatic switches, since these parts need to be replaced occasionally due to normal wear.